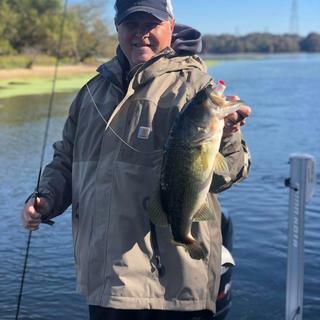 Designed with the serious angler in mind, this men's jacket helps you make the best of rainy days spent on a bass boat or anywhere else you get caught in a downpour. It has fully taped seams and a 10K waterproof rating, plus it features our fastest-drying lining for added warmth inside. This breathable layer weighs in at five ounces. It's reinforced at key areas where the jacket will flex and crease as you move, and it's made with ample inner and outer pockets for essentials. Machine wash cold, gentle cycle. Do not bleach. Tumble dry low. Do not u se fabric softeners. Cool iron. Want to stay dry, get the Carhartt Storm Defender rain gear! Finally had a chance to give it a wear. Was in DC and attended a Nationals baseball game. Rained for the first 3 innings but I stayed comfortable and dry due to my new Storm Defender Jacket. Comfortable and best rain jacket I have ever owned! Carhartt quality. Best rain suit I've ever owned on railroad and boat. This jacket is awesome! Lightweight yet protective from rain and wind. It doesn't suffocate you or stick to you like so many rain coats do. I may have to buy the pants that go with it! This is just what I was looking for!!! 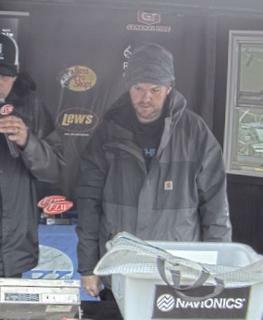 I’m a tournament angler , I was looking for a product that would up hold the bitter coundtions of pouring rain and cold winds. First time I took it to the water it was put to the test. 8 + hours of pouring rain and 20 to 30 mph winds. Not to mintion the boat ride! When I came back in to shed the layers I was bone dry. I would recommend this product to anyone looking for that mid range price but wanting that top dollar quality. No leaks!! This jacket is awsome!!! I am a waterfowl guide and we have to be there rain or shine and this thing keeps me dry all hunt long. There is a lot of set up and tear down time as well and that means you can work up a sweat quickly, this jacket keeps me cool and dry!!! Exactly what I was looking for. Works great. Room for layering and plenty of dry storage. Very nice jack, even to wear as a light daily jacket. The Storm Defender Angler Jacket, is a very nice jacket. I would highly recommend this jacket. I actually bought one for my son and his friend. They wear them daily as a light jacket. Very Nice!!! IT HAS NOT RAINED ON MY DAYS OFF,BUT IT SHEDS SNOW JUST FINE. IT SERVES AS A GREAT WIND BREAKER. IT HAS PLENTY OF ROOM AND EVEN FITS OVER MY FLY JACKET. I WISH THE CUFFS ON THE SLEEVE HAD GATHERS OR SOMETHING TO CINCH DOWN CUFF TO HELP KEEP MY LOWER ARM DRIER WHEN I HAVE TO RETRIEVE SOMETHING DROPPED IN THE WATER. OTHER THAN THAT I REALLY AM HAPPY WITH THE STORM DEFENDER RAIN JACKET. PERHAPS IT WILL RAIN IN FEB. OR MARCH AND I WILL SEE HOW WELL IT SHEDS WATER. This is a great set! It far exceeded my expections. I would say it is the best thing I bought in a long time and it was exactly as described and top notch quality with no problems. I’m very happy with this I bought one for my husband and then one for me because they are that good. Now I gotta stop the review and get out and catch a Lunker. My son loves his new Jacket!! Was perfect on the lake when it was 30 degrees out and he is wearing it to school too! Cuff strap Velcro does not tighten enough...needs to be moved over a bit...otherwise a great rain suit. Just an overall great jacket. Highly recommend! Great fit. Light weight. Warm and Dry. Awesome jacket.Very happy with it. Took the jacket and bibs on a Canada fishing trip about 5 hours north of Thunder Bay Ontario. The fit runs true to size. It runs a little bigger than others (.25-.50 size bigger). Temperatures ran between 30 and 70 degrees. Between the jacket, bibs, athletic pants, long sleeve shirt, and ball cap I had 0 problems with warmth. I also had 0 problems with sweat as I was surprised how breathable this set was. This kept me 100% dry. This including back trolling a 14 foot Mirrocraft in strong winds with waves breaking/splashing over the rear of the boat all day. Caught a lot of fish all stains, smells, and etc came out with wash. Durability is what I would expect from Carhartt. Took this jacket and matching bibs recently to Ely, MN on a fishing trip. Put it to the test there and the pair performed flawlessly. I was the only dry person in camp...loved it! Best rain jacket out there! Excellent for fishing. Very comfortable, looks great, and does it's job. kept me dry when i am working to clean equipment with a hose. my cheaper rain jacket couldn't. Much more comfortable than my the old PVC rain gear I've had for years. Wore these while fishing in the rain with temps in the low 70s and stayed dry and comfortable. Breathes well!! I wanted a Spring / Fall / Rain jacket this was exactly what I needed!!! Love carhartt!!!!! Water runs off, jacket drys fast! Keeps me comfortable! Very nice looking jackets and it’s not to heavy but no to light just right. Very happy with my purchase does what it says would definitely recommend to anyone. When will the xl be back in stock ? BEST ANSWER: We have stock available in size XL for the Dessert/Driftwood and Dark Blue/Navy. The Gavel/Shadow and Black were limited edition color and we have sold out of all available stock in size XL for these two colors. We do not expect to receive any additional stock at this time. When will the extra large be back in stock , or will they not be making them anymore? BEST ANSWER: We apologize, but we currently do not have a restock date. This style will continue to be offered until Spring 2020. How does this jacket hold up for heavy rain? BEST ANSWER: Really good, I was caught in heavy rain twice last summer and the only thing that was wet was my hands!! Do the jacket and bibs have a breathable material for summer time use? BEST ANSWER: Yes, the 102990 and the 102984 is going to be breathable. BEST ANSWER: The sleeve measurement for the XL tall will be 39 3/4". The measurement for the 2XL tall will be 40 3/8". I was thinking of buying this jacket as well as Crowley jacket to layer. I will be getting a medium in the Crowley. Should i get this in a large or is there enough room in the medium Angler to fit comfortably over the Crowley? I own both the StormDefender and the Crowley.Both in size Large.You can layer over the Crowley with no problems at all .They actually work together well. I would suggest a large. Why is there not big and tall sizes available? BEST ANSWER: Unfortunately, it is not made in big and tall sizes at this time. Are the cuffs of the sleeves of this jacket elastic? BEST ANSWER: This style will have internal rib-knit storm cuffs with ergonomically shaped sleeve hems help keep out the cold. Can this jacket be used as a Winter coat or would a heavier jacket be recommended for constant cold weather? BEST ANSWER: This coat is not insulated and not recommended for very cold weather. Is this the entire suit or just the jacket? BEST ANSWER: This is just the jacket. Are there pants or bib to match the Navy Blue Color? BEST ANSWER: The matching bib style for this jacket is 102984. I wear tall sizes, 2XT. Is this long enough? Some jackets are, just need a measurement diagram or something. BEST ANSWER: The center back length in a 2XL Tall measures about 34 1/2." Will this style ever come in black? BEST ANSWER: We'll be happy to share your interest in this color with Product Design. Is it durable? Is it waterproofed enough to withstand 8 hours of heavy rain working 7 days a week? My husband has not wore this jacket in the rain yet. I bought it for him so he could go fishing in the winter weather (snow and rain) but we really haven’t had much of that weather. Is the inside material mesh? Or is it a different material? BEST ANSWER: The jacket is mostly mesh except for the internal pockets. The bibs are mesh in the upper chest but the legs and stomach sections are like a nylon material. Does the hood come off? BEST ANSWER: The hood is not detachable. BEST ANSWER: No; this jacket is not insulated. Is this strictly a rain jacket? BEST ANSWER: We do consider this to be rainwear, but some people choose to just wear it as a light, casual jacket. Is there a strap at the back of the hood to keep the hood out of your eyes? BEST ANSWER: 2 standard draw strings and a draw string in the back that helps. I had the most success with a base ball hat under the hood though. It allowed the hood to be fit snuggly and ensured it stayed out of my eyes. Storm Defender® Angler Jacket, does it come in Big and Tall sizes? BEST ANSWER: The largest size this comes in is 2XL regular. Unfortunately, it isn't offered it talls at this time. Is this considered wind proof? BEST ANSWER: This jacket is not considered windproof. Yes, this jacket is generally windproof. Yes. It does a nice job.